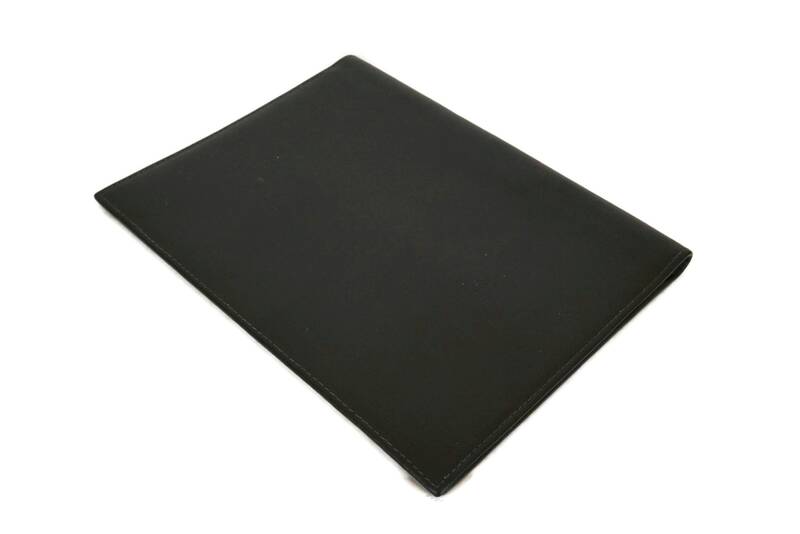 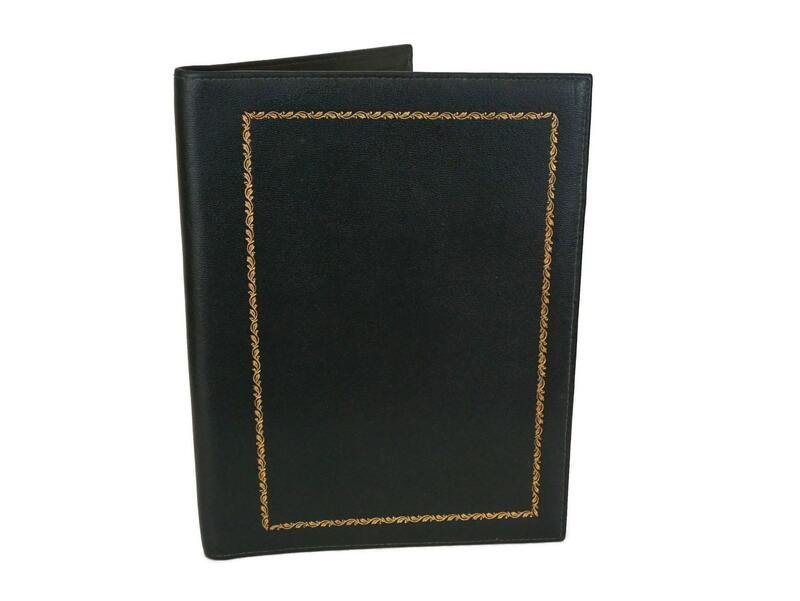 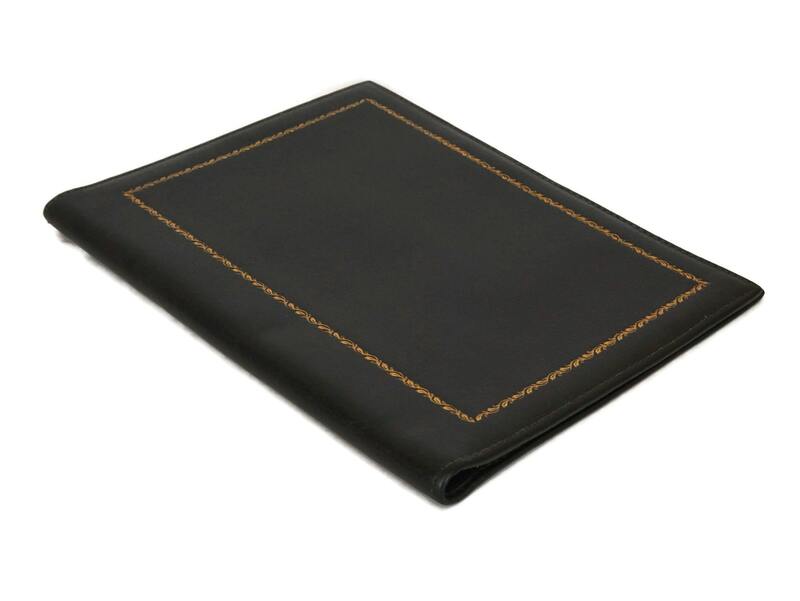 An elegant vintage leather notebook cover manufactured by the luxury French leather company Le Tanneur. 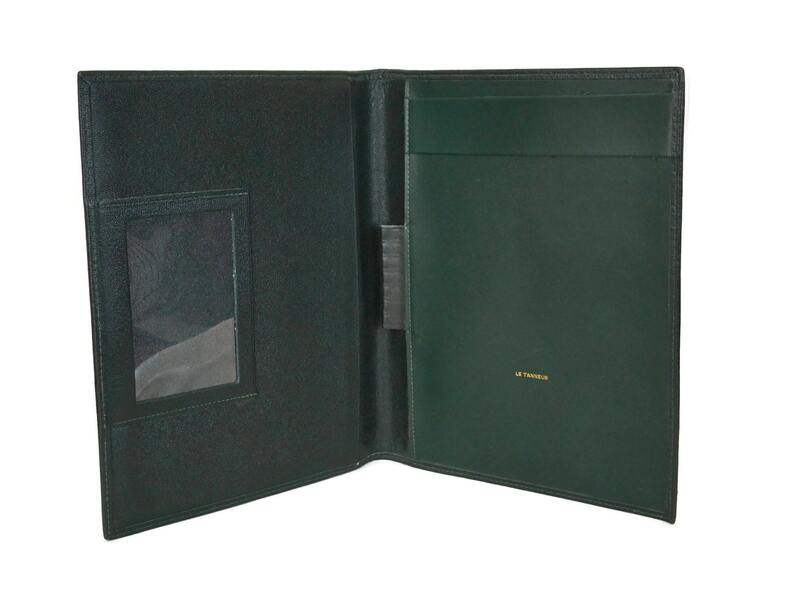 It has been hand crafted from finely tanned leather in a classic shade of hunter green. 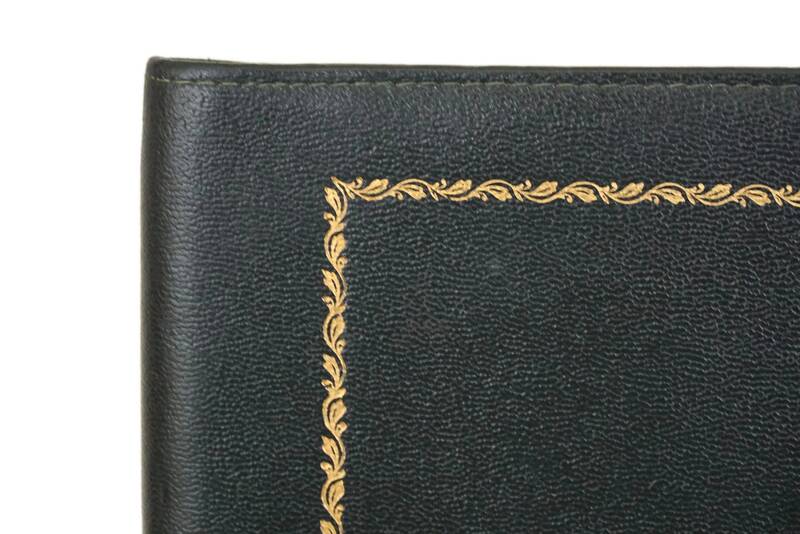 The front cover has been decorated with an ornate gold leaf embellished pattern. 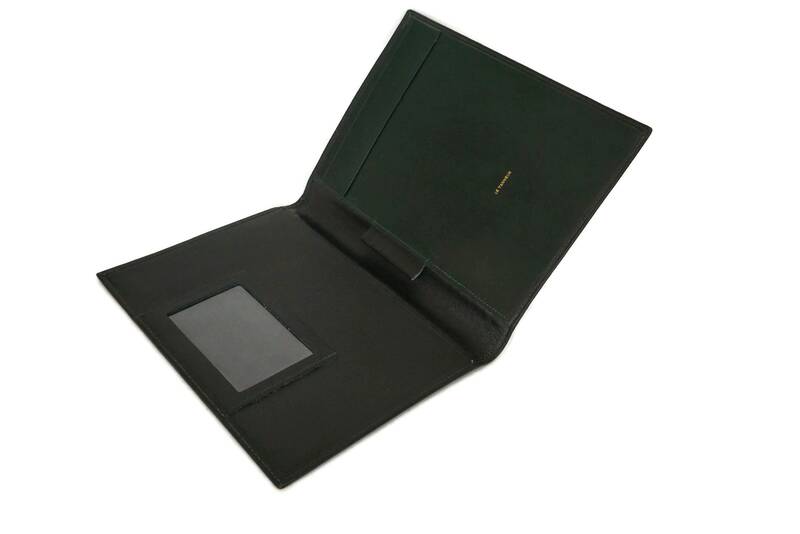 It opens to reveal one section to hold an A5 size notebook with a pen holder loop. 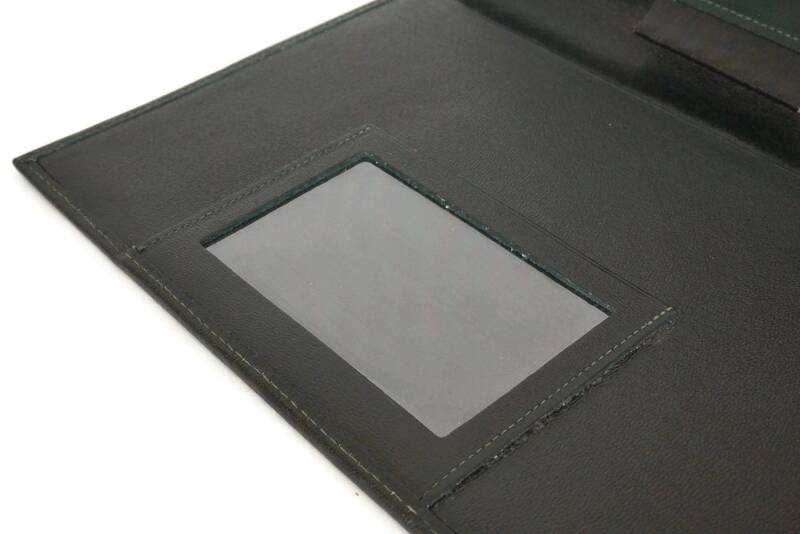 The other side has a long pocket and a pouch with a clear window to display business cards. 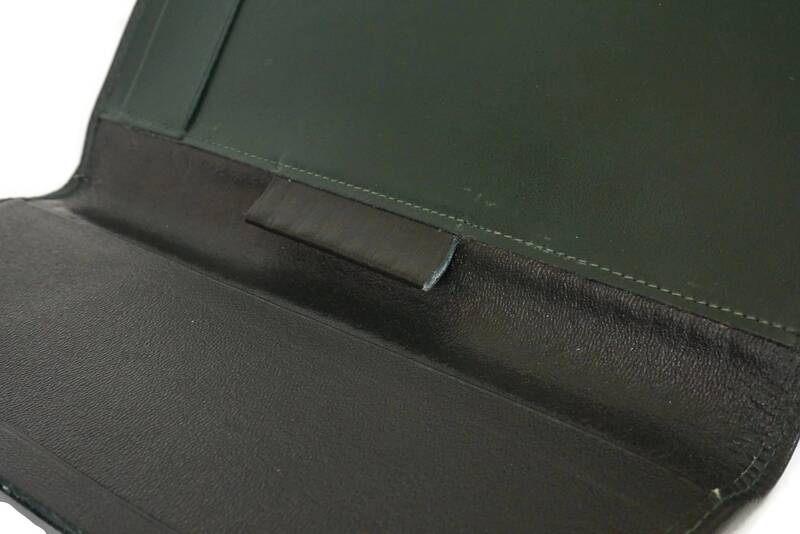 It has been stamp with the manufacturer's mark. 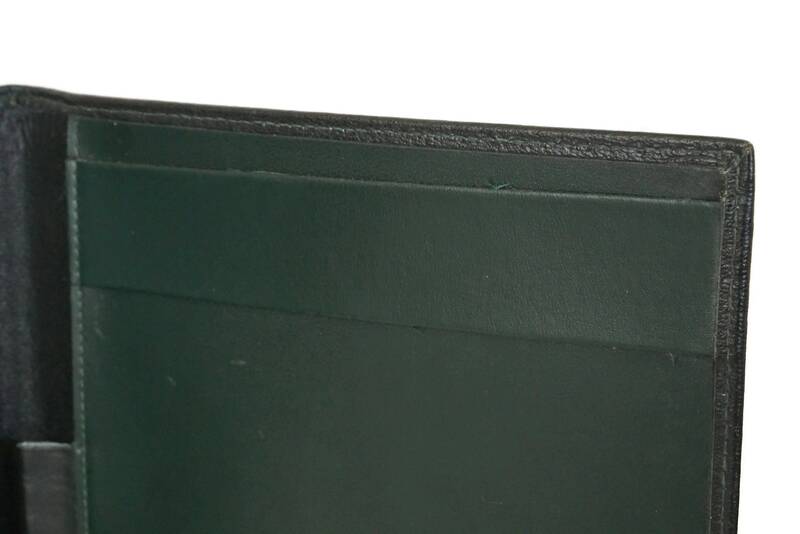 (23 cm x 18 cm). 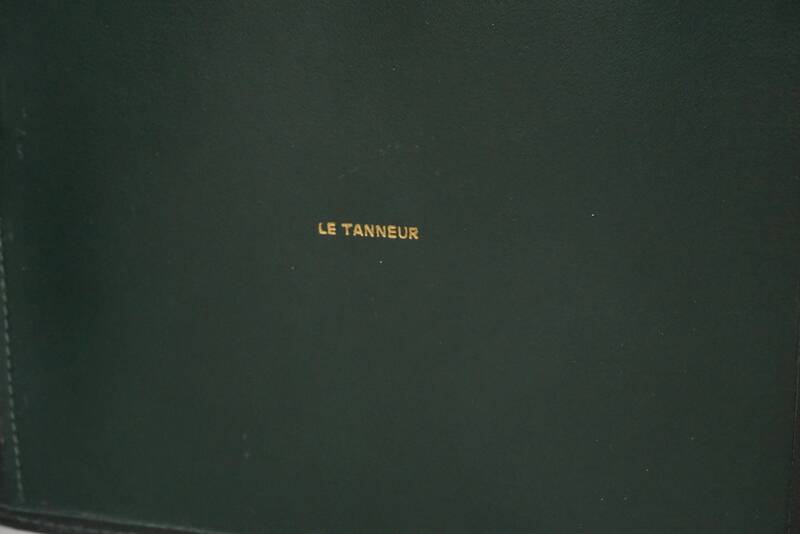 The vintage Le Tanneur leather notebook cover is in excellent condition.